Born on August 14, 1964, in Kenosha, Wisconsin, Mark Pocan earned a BA degree from the University of Wisconsin in 1986. Since 1988 he has been the proprietor of Budget Signs & Specialties, a company that custom-produces all manner of promotional products, banners, apparel, etc. After serving on the Dane County Board of Supervisors from 1991-96, Pocan, a Democrat, was a member of the Wisconsin State Assembly from 1999-2013. In 2012 he won election to Wisconsin’s 2nd Congressional District seat in the U.S. House of Representatives, replacing Rep. Tammy Baldwin when she was elected to the United States Senate. 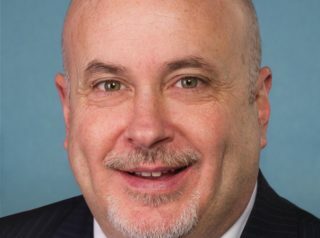 Pocan continues to serve in the House, where he is a member of the Congressional Progressive Caucus. In the early 2000s, Pocan spoke several times at RadFest, an annual gathering of communists, socialists, and progressive activists in Madison, Wisconsin. At RadFest 2002, for instance, he helped lead a workshop on equitable taxation sponsored by the local Democratic Socialists of America. In 2006 Pocan was active with the Center for Policy Alternatives, an organization dedicated to helping progressive lawmakers hone their political skills, network with colleagues, and draft legislation to maximum effect. tax hikes on high-income households. For an overview of Pocan’s voting record in Congress, click here. Pocan has a close working relationship with the Colombia Support Network (CSN), which seeks to “construct a just social and economic order [in Colombia] using non-violence means.” He formerly served on CSN’s advisory board along with such notables as Medea Benjamin, Blase Bonpane, Roy Bourgeois, Noam Chomsky, Thomas Gumbleton, Robert McChesney, and Howard Zinn. Pocan also has close ties to the Progressive Democrats of America, an organization that has endorsed him politically, and at whose events he has spoken. Yet another avid backer of Pocan is J Street, which endorsed him in his 2014 congressional re-election race. Pocan, in turn, is strongly supportive of J Street’s agendas. During a six-day tour to East Jerusalem and Ramallah sponsored by the Palestinian group MIFTAH in the spring of 2016, Pocan was one of five U.S. congressmen who met with Shawan Jabarin, a longtime Popular Front for the Liberation of Palestine operative who had since served as: the general director of Al-Haq, a vice president of the International Federation for Human Rights, a member of the Human Rights Watch Middle East Advisory Board, and a commissioner for the International Commission of Jurists. The other congressmen who met with Jabarin included Democrats Hank Johnson, Luis Gutierrez, Matt Cartwright, and Dan Kildee. In early June 2017, the Washington Free Beacon revealed that Pocan was anonymously sponsoring an upcoming anti-Israel forum on Capitol Hill, an event organized by several groups that supported the Hamas-inspired Boycott, Divestment, & Sanctions movement. Among those groups were the Defense for Children International-Palestine and American Friends Service Committee. In July 2018, Pocan and fellow Democrats Pramila Jayapal and Adriano Espaillat together introduced the Establishing a Humane Immigration Enforcement Act, whose intent was to abolish the U.S. Immigration & Customs Enforcement (ICE) agency and replace it with a new entity. When House Majority Leader Kevin McCarthy then announced, just hours later, that he would bring the “Abolish ICE” bill to the floor for a vote, Pocan and his two Democrat colleagues released a joint statement charging that Ryan was not taking their bill seriously, and stating that, as an act of protest, they would vote against their own legislation. Pocan is a member of numerous left-wing organizations, including the American Civil Liberties Union, the AFL-CIO, the Human Rights Campaign, the Sierra Club, the Southern Poverty Law Center, and Wisconsin Citizen Action. An open homosexual, Pocan married his his longtime partner, Philip Frank, in Toronto, Canada on November 24, 2006. Further Reading: “Mark Pocan” (Ballotpedia.org, Votesmart.org, Keywiki.org, OnTheIssues.org); “Democratic Rep. Mark Pocan Identified as Lawmaker Behind Anti-Israel Capitol Hill Forum” (Washington Free Beacon, 6-2-2017); “Democratic Congressmen Accuse Paul Ryan of Political Stunt for Calling for Vote on Their ‘Abolish Ice’ Bill” (Daily Caller, 7-12-2018); “Trump Jr., Dem Congressman Spar over Ellison’s Association with Farrakhan” (The Hill, 9-17-2018). “US Rep. Mark Pocan co-sponsors immigration bill in House” (Madison.com, 11-21-2013); “Rep. Pocan fasts for immigration reform” (12-13-2013). “Pocan Statement on Wisconsin Voter ID Law” (10-9-2014); “Pocan: Wisconsin Voter ID Will Prevent Wisconsinites From Participating In Our Democracy” (3-23-2015); “Pocan and Ellison to Introduce Right to Vote Constitutional Amendment” (1-22-2015).